In October 2016, Patrick Brown, Director of the Leadership Academy at Greenlining Institute organized a workshop on racial equity in leadership development for the Living the Next Economy Conference in Oakland. The presenters, Patrick Brown, Renato Almanzor, East Oakland Building Healthy Communities, and Deborah Meehan, Leadership Learning Community recently decided to recreate the workshop virtually for you in a format that will include breakout discussions, embodiment practices and the use of story. Patrick Brown joined Greenlining’s team in 2012 as the Manager of the Leadership Academy. Born and raised on the south side of Chicago, he comes from a lineage of community and labor organizers. While completing his B.A. at DePaul University in Political Science with a minor in Environmental Science, he served as training coordinator for DePaul’s Labor Education Program. Committed to economic and community development, Patrick worked with OAI, Inc. for the next 10 years developing and implementing training programs for a national network of workforce re-entry programs. As manager of an EPA Brownfields job training grant, Patrick partnered with and developed the Greencorps Chicago program as a model for green jobs training programs. As a Green for All Fellow, he continues to provide trainings and workshops to engage disenfranchised communities in the green economy workforce. Patrick is deeply connected to social justice artists / activists across the country and travels often. He loves ‘deep house’ music and enjoys spending time on crowded dance floors. He practices Vipassana meditation at the East Bay Meditation Center and is an active member in the East Bay Church of Religious Science. He lifts his voice with his church choir and is constantly considering how to achieve his dream of becoming a backup dancer for Janet Jackson. Dr. Renato Almanzor is the Executive Director of East Oakland Building Healthy Communities – a place-based initiative that targets the nexus of community, health and poverty to advance a social justice movement. Renato’s experience emerges from over 25 years developing leaders committed to equitable communities, multicultural organizations, and social justice. He has been invited to teach at many universities (e.g., Humboldt State University, California State University East Bay, University of San Francisco, Alliant International University and Argosy University), courses ranging from organization theory and organizational behavior to working with diverse populations and designing multicultural organizations; in addition to chairing dissertations and research projects. In addition, Renato has held executive roles at UC Berkeley and Oakland Unified School District. As Senior Director of Programs from 2008 – 2016, Renato ran all of the programming for LeaderSpring, including their two-year fellowship program for nonprofit executive directors and their LeaderSpring Consulting Group that supports community leaders working with low-income communities and communities of color (www.leaderspring.org). As a leadership expert, he has delivered keynote addresses, workshops and seminars on issues related to leadership for equity, cultural diversity, organization development, and social change. His professional practice ranges from executive coaching and strategic planning to change management consulting and team development. For his efforts, he was awarded the Wallace Alexander Gerbode Fellowship in 2015 and recognized for Transformative Leadership by the California School Age Consortium in 2016. Dr. Almanzor received his Ph.D. and M.A. in organizational psychology from the California School of Professional Psychology, his M.S. in counseling from San Diego State University, and his B.A. in psychology from the University of California, Davis. He completed certification as a Life Purpose Coach through Transformation Services, Inc.; a year-long program Practices in Transformative Action at the East Bay Meditation Center where he also served as an apprentice the following year; and certification for Zumba Instruction. Deborah Meehan is the founder and Executive Director of the Leadership Learning Community (LLC), a national organization of 8,000 leadership development staff, funders and researchers who have connected their learning and resources out of a shared commitment to strengthening the practice of leadership development. Deborah has created a consulting services arm of LLC and conducted evaluations for national and international leadership programs. 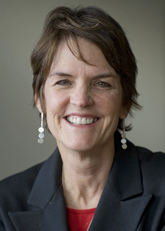 She has provided network coaching to leadership programs and produced leadership scans, literature reviews and made program recommendations on behalf of 30 foundations that include a broad range of small, large, regional, state and prominent national foundations. She is the lead author for several collaborative research projects that produced: Leadership and Networks; Leadership and Race;, Leadership and Collective Impact; and Leadership and Large Scale Change.